China-Pakistan Economic Corridor will help sustain the economic growth of China and will highlight the strategic importance of Pakistan. It will offer Pakistan with a chance to broaden the horizon of its economy and enlarge its foreign reserves. However, whilst venturing towards industrialization and Foreign Direct Investment (FDI),CPEC in Pakistan faces certain challenges that have so far impeded the industries in realizing their full growth potential. Principal obstructions to investment in this regard are various security and political factors as well as the non-availability of infrastructure and power crises. The answer to these challenges is that the FDI is very much necessary for raising the value of capital. Eventually, once the high capital value is achieved it will helps in developing infrastructure and for initiating large industries. Thus through Foreign Direct Investment (FDI) the dearth of capital will be lessened to greater extent. In order to set up competitive industries in the globalized world one of the priorities is the accessibility to the productive and high tech transportation for maneuvering of raw materials and finished goods. This is an understood observation that, economic expansion strengthens infrastructure advancement and vis a vis. The second most important aspect is how far CPEC is beneficial for the Pakistani labors and how the industrial advancement will be creating Jobs through CPEC for Pakistani people? The youth surge is often named as asset and it should be chief concern of the State, because this strength has turned into burden owing to unemployment. In this regard CPEC could offer appropriate interference in the course of employment creation to take in hand the grievances of unemployed youth. The electricity shortage and network of infrastructure further minimizes the on hand base of small industries in Pakistan. The first phase of energy projects in early harvest program of CPEC will be effective in reducing the electricity shortfall. The inexpensive and unremitting power availability is indispensable for stimulating Pakistan’s manufacturing sector. This will increase the economic activities, create jobs and catch the attention of foreign investors to invest in trade zone of Pakistan. Eventually all the project which are part of CPEC, whether they are electricity production projects or infrastructural advancement projects need man power -engineers; civil mechanical, electrical. Along withdisciplines of engineering technicians: masons, welders, carpenters, surveyors, steel fixer, machine operators, etc are also required.Moreover not only the labor and technical workforce, there is also a need of professional economists, finance, accounting, management HR and interpreters of Chinese language who will monitor and manage these projects. Thus to sum up the answer to the question that how far CPEC is effective in creating jobs, one can say that according to the resources and as the above mentioned, CPEC will be generating around two million jobs implicitly or explicitly till 2030. Moreover, this is also worth noting that if the Pakistan stakeholders are making their living and paying high tax regardless of the Chinese who are investing and they are exempt from taxes. Under such conditions how CPEC will be profitable for Pakistani investors and local industrialists if Chinese are tax exempt and local industries are not? In that case CPEC Special Economic Zones (SEZs) will be a fruitful strategy for promoting trade, employment and economic growth. Consequently to upgrade the industries, through SEZs, one of the intended objectives of the CPEC is to best serve the private sector of Pakistan to strengthen local industries through Free Trade Agreements (FTA). The proclaimed incentives which CPEC promises to offer the local enterprises include the promotion of Pakistan’s industries from accumulating imported parts and components to localized production of parts by utilizing the available resources, offering employment opportunities to the people and encourage bilateral connectivity between various Chinese and Pakistani enterprises. It will also expand trade volume and logistics, business-to-business (B2B) links, two-pronged trade arrangement, regional connectivity and encourage evenhanded trade maturity. Subsequently in order to facilitate the local business sector, Board of Investment (BoI) established “CPEC-SEZ Cell” in February 2017 in order to address the concerns of the stakeholders on the matters related to the CPEC and Special Economic Zones. The prime function of this support cell is to attract, facilitate and promote both local and foreign investment in the country as per Special Economic Zones (Amendment) Act, 2016 of Pakistan. Furthher more in line with changing global economic structure CPEC will bring trade openness. For that Pakistan has prioritized the establishment of SEZs. So far 41 sites have been identified for SEZs and the Board of Investment (BoI) has mapped out nine exclusive Industrial Zones to be built under the larger umbrella of CPEC. 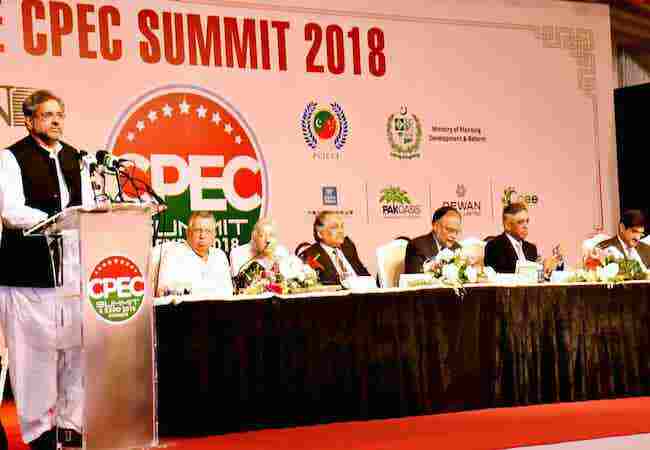 It is also pertinent to mention that the CPEC project is not merely a route that connects Gwadar port with Kashgar but an opportunity for both China and Pakistan to enjoy the fruits of trade openness with Europe, Middle East, South and Central Asia as well. Thus the establishment of SEZs promises to bring Trade Openness through a massive socio-economic development in the country specifically in the areas of energy, trade, agricultural, infrastructural development, connectivity, industries, poverty alleviation, tourism, cooperation between financial institutions and markets, and financial cooperation between Free Trade Zones (FTZs). Last but not the least the difficulty of capital and capacity insufficiency can be alleviated through joint ventures between Chinese and Pakistani business community under CPEC. It is necessary to enlarge the stakes of domestic industry and protect their interests under CPEC. Pakistani entrepreneur should be given incentives similar to Chinese investors for investment in the CPEC projects.